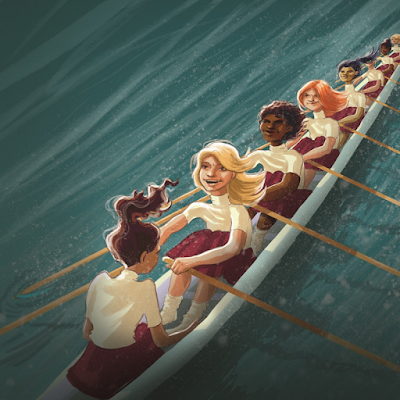 First Stage’s award-winning Young Company brings you GIRLS IN THE BOAT, a world premiere play by Alice Austen, as part of its new play development effort, which began in 2015. First Stage’s Director of Artistic Development John Maclay shared some history on Young Company’s new play development. “It started when we commissioned TXT U L8R by Eric Coble, which we brought to the New Visions/New Voices Festival at the Kennedy Center for the Performing Arts,” Maclay said. The goal of Young Company’s new play development is to task playwrights to create compelling work with characters close to young performers’ ages. “We want to add to the canon of great work available to teen companies,” Maclay said. This play is one of three productions presented by Young Company for the 2018-19 season. Other productions include AS YOU LIKE IT (March 8 – 24, 2019) and THE MIRACLE WORKER (May 10 – 19, 2019).